Dry vs. Dehydrated Skin: What's the Difference? This, my skin care enthusiasts, is a very important question! Manufacturers of beauty products make claims on their labels about whether or not their products are hydrating or moisturizing. To ensure that you are choosing the right product and its function for your skin type, it’s essential to know the difference between the two. Let’s begin with a basic chemistry lesson on both hydration and moisturization. Think of a grape versus a raisin – I bet you’re leaning towards that juicy grape, huh? When your skin is regularly hydrated, it keeps the appearance of fine lines and wrinkles at bay. In addition to appearing younger, your skin cells maintain their overall cellular functions when hydrated. How do we hydrate our skin? Drinking plenty of water will do the trick, but since our skin is the last organ to absorb hydration, using topical ingredients that promote hydration is beneficial as well. These hydrating ingredients such as hyaluronic acid, sodium hyaluronate, glycerin or honey, to name a few, are called humectants, which help to bind and retain moisture. Our Anti-Aging Serum contains both sodium hyaluronate and non-gmo vegetable glycerin to help keep your skin beautifully hydrated. 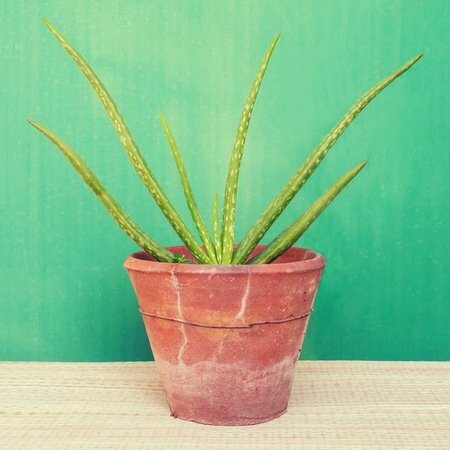 Aloe is another ingredient that promotes skin hydration. The National Center for Biotechnology Information published a study in 2006 that demonstrated the hydrating effect of aloe on the skin. The study seems to use the terms “moisturization” and “hydration” interchangeably, but what they measured was water content in the skin. After two weeks, each varying concentration of aloe vera extract was shown to increase the water content in the skin. 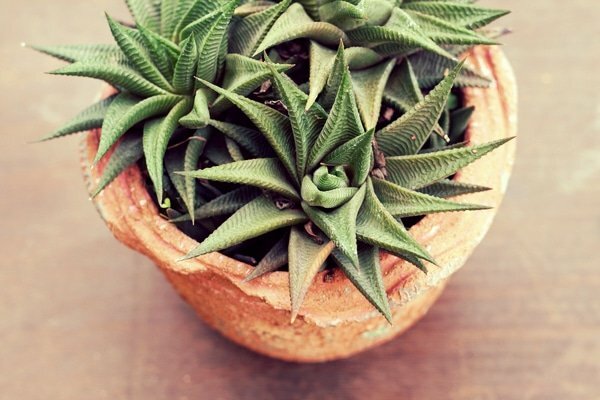 Just one more reason to love aloe! We use aloe vera juice as the base for both our cleansers, as well as both the Citrus Stem Cell Serum and Anti-Aging Serum. Oil comes to mind when we speak of moisture. Sometimes cake does, too, but we’ll save that for a different day. Attached to our hair follicles we have our sebaceous glands. These aptly named glands produce “sebum,” an oily substance that helps to protect, lubricate and nourish our skin, preventing it from drying out and causing premature aging. For those with clogged pores or oily skin types, there might be an overproduction of sebum, while those with dry skin types might have a lack of it. Regardless of your skin type, moisturizing is an essential part of your daily facial routine. Try our Herbal Facial Oil for Normal and Combination Skin! It has a base of grapeseed oil. It's light in texture, infused with antioxidant-rich herbs, and possesses moisture-balancing properties. So now that we have a basic understanding of the functions of both hydrating and moisturizing the skin, we’ll answer how, when, and how often. Since the purpose of hydrating is to bind water to our skin and moisturizing is to prevent the water from leaving our skin, it’s important that hydration comes before moisturizing (when applying products topically). This is why serums are to be applied first, as most hydrating treatment serums contain a humectant. Once you get that layer of hydration on, you want to seal it all in with a lipid (facial oil). This combination creates a healthy balance. Dehydrated skin tends to look dull and feel tight, even when properly moisturized. If you don’t already, use a hydrating serum with some of the humectant ingredients we mentioned above. Apply your serum before your oil to lock in the hydration. With dry skin, lack of moisture (lipid content) can result in rough, dry or flaky skin. If this is your skin, make sure you’re using the right moisturizing ingredients. We recommend oils because they penetrate deep into the skin and allow the skin to breathe (rather than creating a barrier, which many facial lotions will do). Choose a rich ingredient like jojoba oil for its benefits or coconut oil if your skin is very dry. Our Anti-Aging Oil uses a jojoba base and contains other oils like carrot seed oil and chia seed oil for deep and healthy moisturization. It’s often hard to distinguish between dry vs. dehydrated skin, so we do encourage you to see a professional if your symptoms are persistent. Which ingredients do you use to hydrate and moisturize your skin? Tell us in the comments below! I have combination skin. I learned two months ago i dont need oils but to hydrate. I use grapeseed oil (recommended for combi skin) and veg glycerin under my eyes. I tried lily if the desert aloe vera gelly 99 percent too but it didnt do much and i broke out on one side of my face. I get itchy skin using fresh aloe vera gel so sadly i had to discontine, a shame bec it did improve my skin right aawy but the itch lasted an hour and only in certain areas. I will also try virgin coconut oil for under my eyes to see if it works even better. When i wake up i wipe my face and neck with orange blossom water and at night with rose water. They are v hydrating and cheap to buy. I have oily dehydrated skin. Do you have any recommendations as far as cleansing and moisturizing? I need help. Would you recommend a hydrating product before using the herbal facial oil? Or will the herbal facial oil hydrate and moisturize the skin? I have dehydrated combo skin. If you’re working with dry, dehydrated skin we would definitely suggest working with a hydrator before a moisturizer. A Serum like the Anti-Aging Serum before the Facial Oil (your moisturizer) would be hydrating and wonderful to add to your routine! Thank you for such a wonderful article dear and from my side I want to say that i am using SheaMoisture intensive hydration shampoo from long for my hairs and its really effective.It will improve your hairs for sure so try it once people because it helps boost hydration while protecting distressed hair from environmental influences. I use the anti aging serum and the anti aging oil. Love them! Hi. Wondering if you know if anything can be done for woman with Scleroderma (autoimmune disease). We have Telangiectasias. Marked telangiectasias (dilated capillaries) occur on the skin of the face and the palmar surface of the hands. Telangiectasias tend to be more numerous in those patients with other scleroderma related vascular disease (i.e., pulmonary arterial hypertension). The number of telangiectasias and the sites involved tend to increase over time. Would love a solution (as in makeup) that covers without having to touch it up after 10 minutes. I can send you a picture of my face. All my scleroderma sisters would flock to your store if we could find a solution. I am wondering what it is in the hydration sprays or serums that gets the water molecules into the cells. It just seems like the moisture sprayed on would just evaporate. I would love to know how this works at the molecular level. Thank you for creating such wonderful products. I use most of them. I learned in your article Dryness vs Dehydration that your Anti Aging Oil has chia seeds as one of the ingredients. I just had a blood test that revealed that I am making antibodies to chia seeds and need to eliminate them from my diet. Should I also remove skin products that contain them? That’s a great question and it really depends on your body! Typically, we would say that there is such a small amount of the chia in each application that it isn’t going to have a major effect on you, but if you’re using our products and they’re not agreeing with you, the chia could be why. I also have a question on humectants being drying. I live in a desert so I find they pull moisture from my skin since there is very little moisture in the air. what do you recommend for dehydrated skin in the desert? I usually just apply oil after washing my face to seal in the pure water. Typically this works but I notice dry patches on my face in the wintertime, especially if I go a few days without washing my face or I forget to apply oil after washing. Hi Sierra! That’s a great question. One thing I would suggest is going weekly mask treatments, something like our Coconut Honey Mask, which has a humectant (honey) combined with a moisturizer (coconut). I also recommend eating lots of hydrating foods, like fruits, vegetables, and aloe. Thank you for the good explanations and interesting information as always on your website. I have just one comment/question about “glycerin”. I read that in general it has a hydrating effect BUT it depends on the quantity (as a lot of things!). Namely, when used in a percentage up to 30%, it has apparently the opposit effect, that is, it dries the skin out extracting water from the lower skin layers. No problem with percentage of around 10%, it says. All comments on this from your side are very welcome to me ! Thank you for the work you do and all the best ! thank you for a truly clean, non toxic product. I have been using both the anti aging and Citrus Stem Cell Serum and find my skin is more supple and healthy than previously. I love the products I use and wish it was readily available in Australia :):):) Thanks Annmarie and Team. Love your innovation! Thank you for reminding us that the serum should be applied before the facial oil! I’ve been applying the serum first now and it makes an amazing difference! I love Annmaries skin care. My skin is dry so after washing I use a toner first as it allows me to apply theanti aging serum easily and then the moisturizer. With the toner the skin is more PH balanced and I also use less product. What a great article!! I’m so happy I clicked through to read it, and I can’t believe that most of us walk around the planet wanting great skin but not knowing any of this. I’ve experienced both dry and (much more often) dehydrated skin. I’m a huge Aloe Herb cleanser fan, as well as the Ayurvedic scrub and the Herbal facial oil for normal skin – but sometimes, the oil doesn’t feel quite right and I find myself using way more than I think is necessary. Holy hydration, Batman! I’m missing a crucial step! I’m so happy I know what that’s all about now, because I’ve started going through my lovely facial oil much faster than I used to. Serums it is! Thanks again for the great article. Annemarie Gianni is the only skin care line I trust for good products, and now the only place I’ll go for answers as well! I use AnnMarie Gianni Aloe Herb Facial Oil, Neroli Toning mist and just ordered the Anti-aging Serum. I hope all of those products are moisturizing and hydrating my skin! I also use Beauty Counter AM and PM hydrating cream whitch has aloe, honey and glycerin. Thanks Abby, for taking the time to write and explain this topic. It wasn’t until my mid-forties that I took the chance to try facial oils and I will never go back to store bought chemical lotions and potions. Skin Care was never explained to me in detail like this before. Had I known I would have changed my ways long, long ago. My sensitive, combination skin is loving Annmarie Gianni’s organic products and I recommend them to everyone I know. I use raw organic coconut oil together with my face wash.
Then I use my serums, including black current oil.